Telecom backbone of India Bharat Sanchar Nigam Limited (BSNL) started another wide expansion to set up 200 mobile towers across Maharastra Telecom circle. 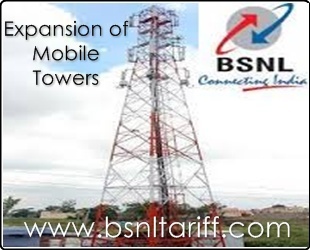 BSNL Telecom sources said that, this process to complete set up of towers within two months and also are planning to share tower sites with other telecom service providers. In addition to 1,200 towers Maharashtra has around 900 BSNL Mobile Towers to share with other telecom service providers.